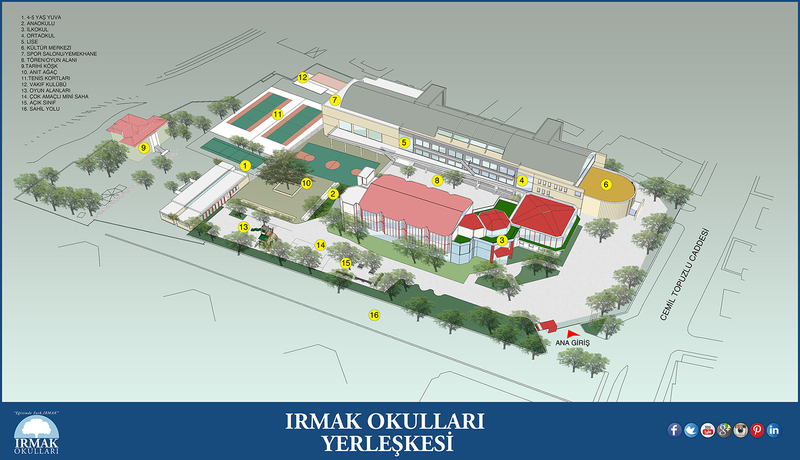 Irmak Schools is administered by a “Board of Directors” consisting of six members, three of whom are from Yapı Merkezi - Gençlik Kültür Vakfı, which are founders of Irmak Schools. The Chairman is elected for two year terms and each term a founder representative acts as the president. The Board of Directors meets 1 times once a month and they confirmed the strategy plan of the school prepared by school administration. He was born in Adapazarı in 1936. He completed his primary, middle and high school education in Adapazarı. Köksal Anadol was born in Bergama on October 19th,1938. He had his trainee year in Stuttgart, Germany and graduated from the architecture department of the İstanbul Fine Arts Academy (now known as Mimar Sinan University) in 1963. This page was created on 14.12.2018 13:52:50 and has been visited 2698 times.